A man killed four people in a bid to carry out a "campaign of murder" and become a famous serial killer, the Old Bailey has been told. Daniel Gonzalez, from Woking, Surrey, set out to murder at least 10 people in an area stretching from the south coast to London, the court heard. The 25-year-old denies four charges of murder over three days in 2004. He admitted manslaughter on the grounds of diminished responsibility, but this was not accepted by the prosecution. Prosecuting, Richard Horwell said Mr Gonzalez had been 24, unemployed, "bored and frustrated", and living with his mother at the time. Mr Gonzalez allegedly told police he had no friends, had not had a girlfriend for ages, spent a lot of his time playing computer games, and "could not cope with growing up to be a man", the court heard. Mr Horwell said Mr Gonzalez "sought excitement or fulfilment from the excessive consumption of alcohol and a variety of illicit drugs". He told the court that on the weekend before the first attack, Mr Gonzalez went to a rave, took "speed, ecstasy, cocaine, ketamine", and spent 14 September in bed. The next day, on 15 September, he took a kitchen knife, travelled to Hilsea, Portsmouth, approached a couple and lunged at them with a knife but was fought off, the court heard. 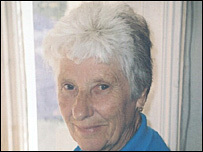 Later that day, he acquired another knife and killed Marie Harding, 73, in Worthing, West Sussex, Mr Horwell said. On 16 September, he spent 10 hours drinking in London pubs and clubs, the court heard. Mr Horwell said: "On leaving the last venue he had decided to kill again." He said Mr Gonzalez took a bus to Tottenham and walked around for ages "in search of a victim", before killing Kevin Molloy, 46, in the early hours of 17 September. Earlier, Mr Horwell said Mr Gonzalez had claimed he was acting under the control of voices telling him to kill. But he said Mr Gonzalez had in the past accepted that he has deliberately fabricated symptoms of a mental illness and was "both untruthful and manipulative".